Use this Evil Mad Science electronic kit to build an Arduino ISP Shield for programming AVR chips. The completed shield plugs on your Arduino or compatible to create an Arduino powered AVR ISP In-System Programmer. 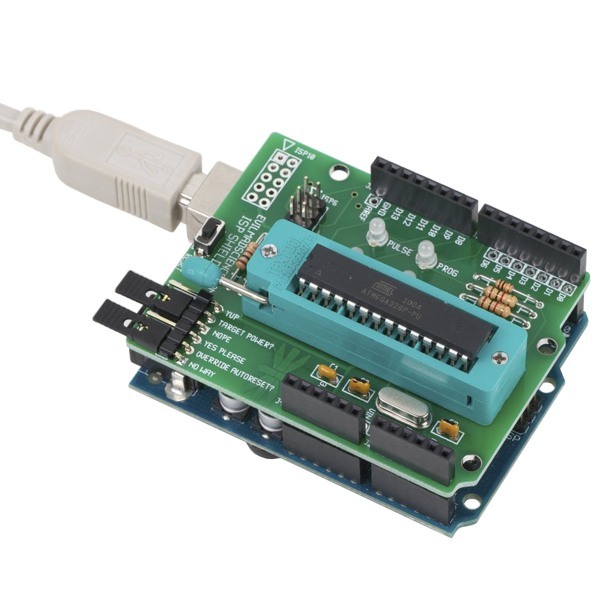 The ISP can be used to program bootloaders and other programs onto AVR chips directly from the Arduino IDE. It is very handy for programming ATmega328p chips with Arduino bootloaders. 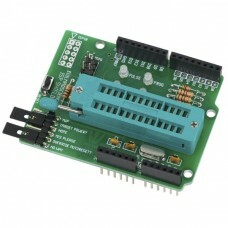 It can program any AVR microcontroller that has an ISP programming interface. 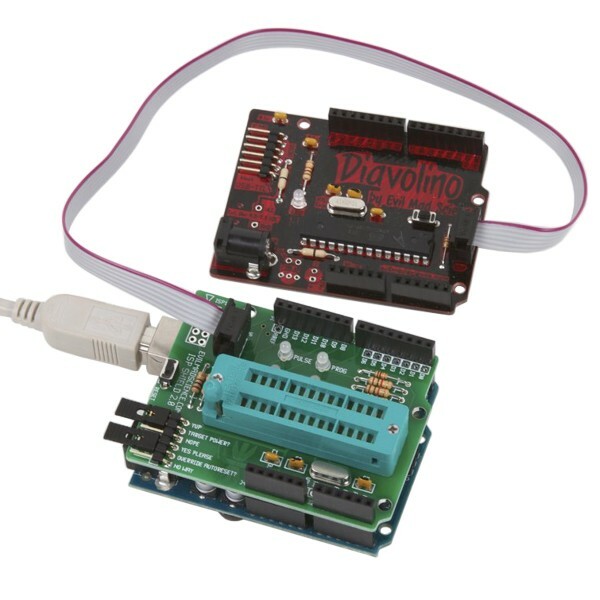 This kit requires basic through-hole soldering skills but is recommended for advanced users due to the concepts involved with programming AVR chips. In addition, not every Arduino will work with this shield. It works great with the Evil Mad Science Diavolino kit and instructions are available for use with the Uno. Please be confident that you have the skills needed to get the most of this project before purchasing it.